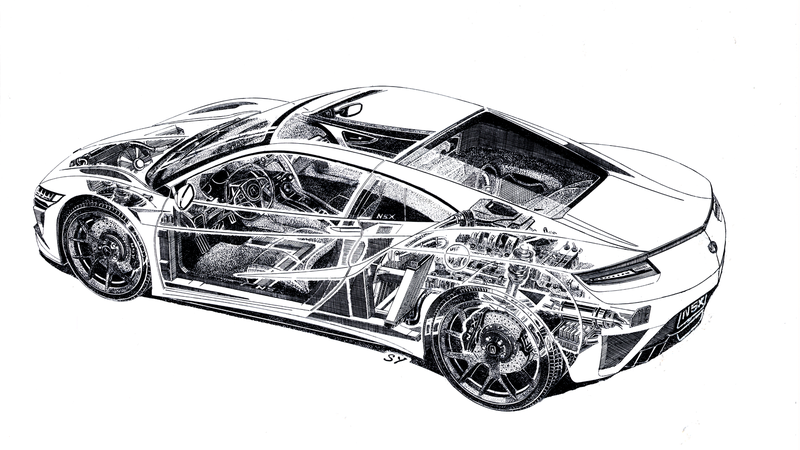 Legendary automotive illustrator Shin Yoshikawa did up the new Acura NSX. The results: predictably good. Enjoy.